The inaugural Pokemon GO Fest did not go well. Among the various issues were technical problems, which made it impossible for many attendees to play the game and participate in events for most of the day. Over on the Niantic blog, CEO John Hanke commented on the situation in detail. Hanke ultimately said that technical issues “caused client crashes and interfered with gameplay for some users.” Hanke also pointed to an “oversaturation of the mobile data networks of some network providers” as well as network congestion, making it so some players couldn’t connect to the internet. Pokemon GO Fest wasn’t a complete wash. Hanke did note how many people played together once issues were finally ironed out, and fans continued well into the night and throughout Sunday. 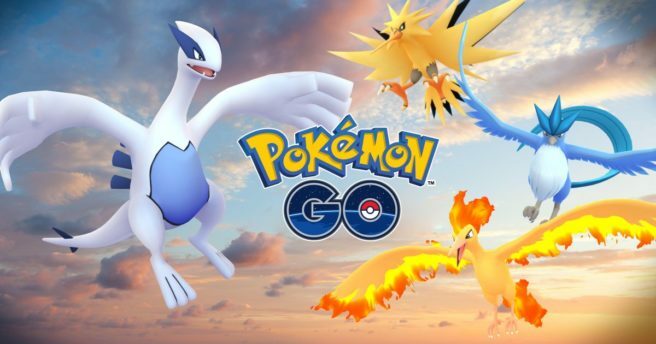 Players in downtown Chicago participated in more than 69,000 Raid Battles and captured more than 7.7 million Pokemon, including more than 440,000 Legendary Pokemon. Trainers worldwide also participated in 4.6 million Raid Battles and caught more than 500 million Pokemon, including more than 1.9 million Legendary Pokemon. Finally, Hanke confirmed distributions for the next Legendary Pokemon, Moltres and Zapdos. The former will be available between July 31 and August 7, while the latter is planned between August 8 and August 14. Also keep in mind that Articuno will only be offered through July 31. Read Hanke’s full message below. During Pokémon GO Fest 2017 in Chicago we encountered software and network problems that prevented many people from being able to connect to the game. Players were disappointed with their experience that morning, and we heard boos and shouts from the crowd. We’d like to update you on what caused these issues. Among those who came up to me, many shared stories of how important the game was to them. Some talked about losing weight, others about a path to recovery after serious illness, and some about repaired relationships with children, siblings and parents. Many groups of friends who had traveled together talked about the shared bond the game created for them. For those stories I am grateful because it was obviously an incredibly stressful and disappointing day for all of us. Both I personally and all of Niantic apologize for the inconvenience and frustration. We will be folding all of our learnings into the Pokémon GO events planned for later this summer in Yokohama, Japan and across Europe. Zapdos (Team Instinct) to be released on Monday, August 8 and available through Monday, August 14. Real-world events are core to the Niantic mission of exploration, exercise and social interaction. We’ve been doing events since the early days of Ingress in 2012. Those events grew progressively larger over time, starting with a few dozen attendees and growing to over 10,000 in Tokyo last summer. At each stage of growth, we encountered challenges and each time we overcame them, we gained new skills and pioneered new techniques for building real-world experiences that support our mission. Last Saturday was not a happy day for us but we are committed to listening to that feedback, however harsh, to improve what we do so that we can continue to build experiences that bring together people, technology, and the real-world in innovative ways.